DAVID LE/Staff photo. 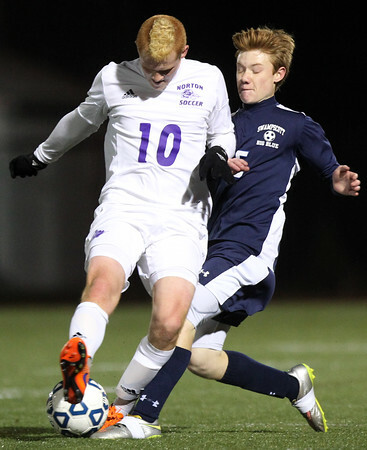 Swampscott sophomore Spencer Perkins, right, challenges a Norton player for the ball. 11/18/15.